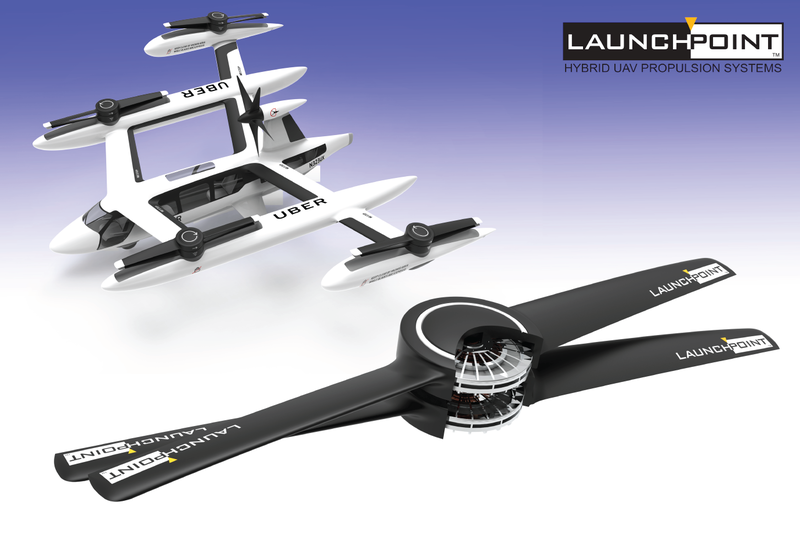 LaunchPoint Technologies is developing high performance gen sets based on reciprocating engines for hybrid electric UAVs. LaunchPoint Technologies is developing a line of motor controllers specifically targeted at the hybrid electric UAV propulsion market as part of our Propulsion-By-Wire System. LaunchPoint Technologies has been developing high specific power, high efficiency electric machines for demanding, high reliabilty aerospace applications. LaunchPoint Technologies is working on high reliability battery packs and battery management systems (BMS) for long duration, fail safe, electric & hybrid electric aircraft.